thank you for this. 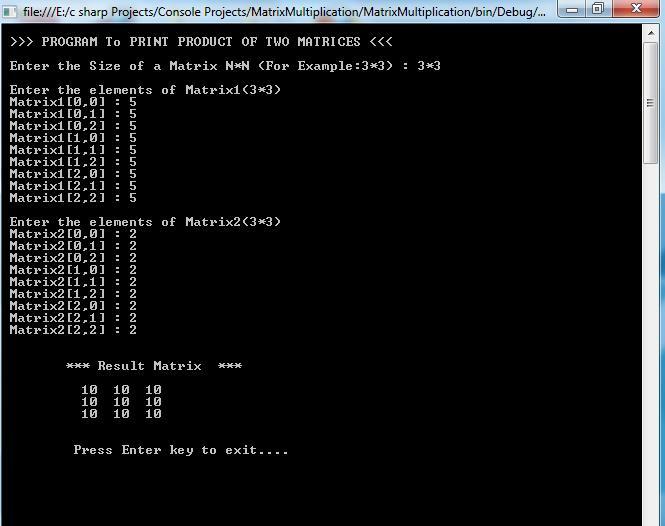 but I have a question what if I want to reverse the matrices in Matrix 2? for example you entered 3*2, next it finding elements for matrix1 then in the next step the value of 3*2 should be 2*3 in Matrix2, it is possible? Sorry for my bad English. Thank you in advance. It is nice article to improve knowledge.thank you.